Taiwan's Machine Tool Makers Generally See Rosy Revenue in Jan.
Taiwan’s machine tool manufacturers mostly experienced a buoyant month in January (photo courtesy of UDN.com). Gradually shaking off the sales doldrums, Taiwan's major machine tool makers mostly witnessed revenue rebound significantly in January. Among them, Awea Mechantronic Co., Ltd., specialized in various CNC and 5-axis milling machines, posted combined revenue of NT$291 million (roughly US$9.47 million) in the month for a year-on-year surge of 15.92 percent, and attributed the encouraging results to strong demand of customers from various sectors, particularly precision machining and aerospace industries, worldwide. With unfilled orders worth US$1.5 billion (US$48.79 million) on hand now, which continually came from clients in China, the U.S., S. Korea and Europe, Awea confirmed that it has seen its order visibility extend to June, to assure itself of robust performance in the months to come. Coincidentally, Kao Fong Machinery Co., Ltd., engaged in horizon, vertical and double-column machining centers, finished January with combined revenue of NT$185 million (US$6.01 million), sharply rising by 25.06 percent from last January. Explaining the impressive revenue turnaround, Kao Fong's executives noted that the influx of orders to the company has turned steady since the second half of 2016, and even accelerated after the Chinese New Year break, especially those from the U.S., China and Europe. Presently, this maker holds orders worth some NT$700 million (US$22.77 million), with production lines already booked through May. Meanwhile, Quaser Machine Tools Inc., working on various machining centers, scored combined revenue of NT$128 million (US$4.16 million) for January, representing a whopping growth of 33.43 percent over last January, to which, the firm owed partly to surging orders received, and partly to deferred incomes received last December being reported in the month. For the moment, the company's order visibility has extended to up to three and a half months. 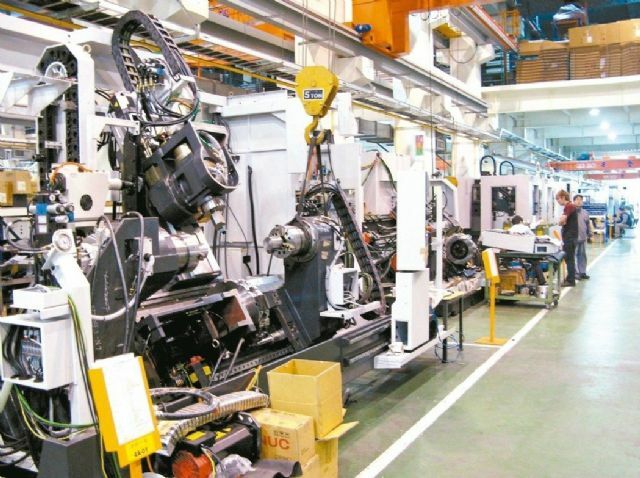 Taiwan Takisawa Technology Co., Ltd., dedicated to turning machines, reported combined revenue of NT$187 million (US$6.08 million) for January, soaring 6.81 percent year on year, with the order visibility of around 2-3 months.